Bench Scales , NTEP approved. 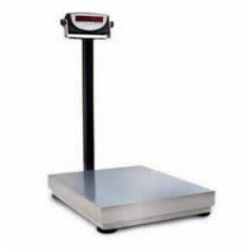 Some of our scales are small portion control type scales while others are very large platform scales that have a column connected that allows the digital weight indicator to be mounted. 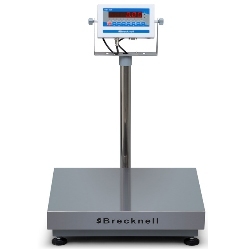 Bench Scales can sometimes be this huge category of scales that customers struggle to browse through. It basically consists of most types of scales that are sized a little bigger than a laboratory balance -- all the way up to a scale that's a little smaller than a 2x2 floor scale. Customers carry suitcases when they travel. The airline and the airplane need to determine how much each customer's bag(s) weigh for various reasons. 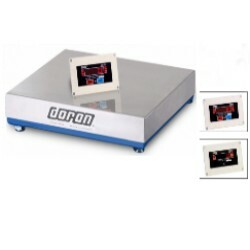 Choose one of our Doran baggage scales for simple, easy, and accurate weighing at the airport terminal check-in. 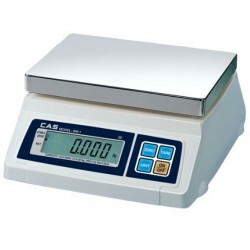 Digital portion control scales, price computing scales, and washable food service scales by Cardinal Detecto, Doran, Mettler Toledo, and CAS are here and priced right--ready to ship. 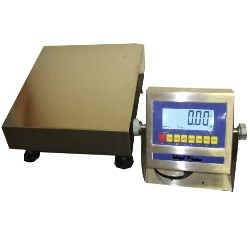 These are some of the finest food service scales found anywhere and all are manufactured by outstanding companies. 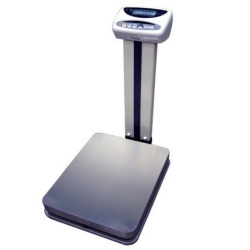 These digital scales are ideal for Laundromats, Laundry centers, and hotels. These laundry scales are rugged and ideal for accurate weights. Remember if you're planning on charging customers based on the weight of the clothes, you need to pick a scale that's NTEP Approved Legal for Trade. Customers sometimes get the NTEP approved and legal for trade terminology confused but basically if you're buying and selling based on the scale weight then you will likely need a NTEP scale system that includes the CoC # which is certificate of conformance.